Ensure your healthcare facility is OSHA Bloodborne Pathogen Standard compliant with this course, designed to inform your staff about the risks and dangers of bloodborne diseases. Hepatitis B and HIV are some of the pathogens covered. Protect both your employees and patients with training today. This course provides an overview of osteoarthritis (OA) and OA preventive measures, as well as diagnostic assessment and various therapeutic options available for treatment. 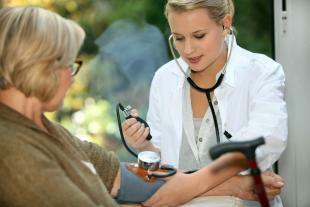 Treatment guidelines are also provided, with a focus on long-term care. Give your team the knowledge they need to diagnose and treat OA. Starting a new job in any industry can be both stressful and exciting. One key part of onboarding is safety training-this should be one of the first elements of welcoming new employees. Including topics from bloodborne pathogens to injury reporting, this course will help new staff get started on the right foot. Minimizing healthcare associated infections (HAIs) is crucial for hospitals and other care facilities. Lower the impact of HAIs both on patient health and on your financial bottom line by training your team with this award-winning, highly interactive course aimed at both medical professionals and students.